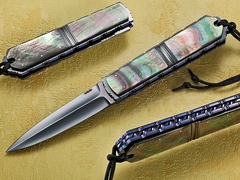 A beautiful folding dagger by Jim Minnick. 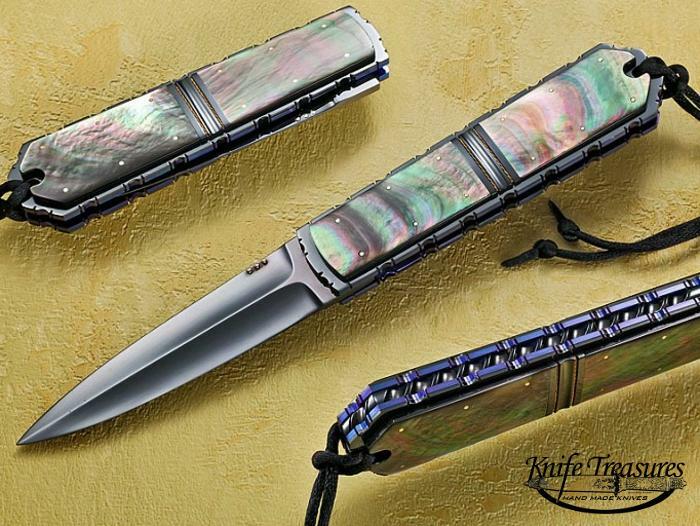 This knife has incredible Black Lip Pearl handle and has been nicely attached with 12 Gold pins on each side of the folder. This is a very sleek, elegant folder.